Need extra space? 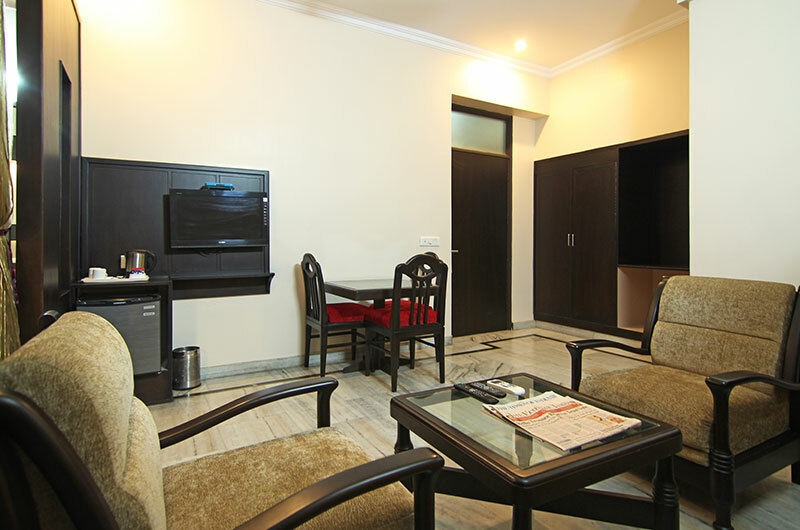 Our Executive Suites are best suited for you. 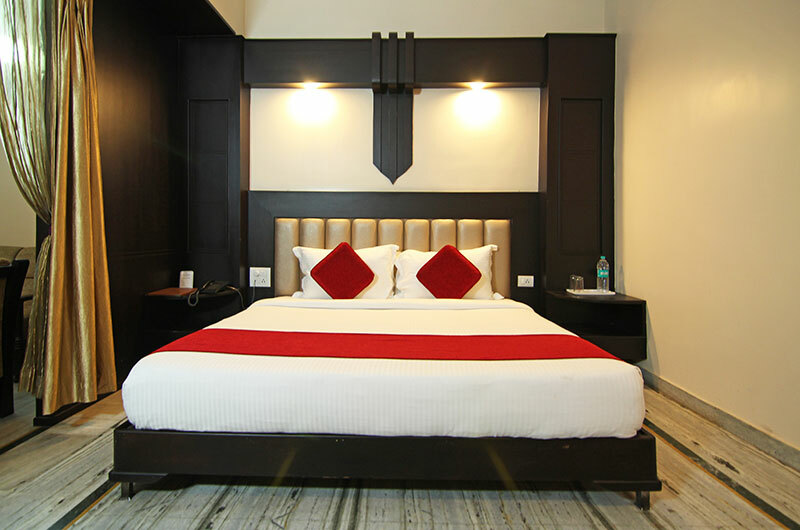 Luxurious bedroom along with elegant living area and spacious washroom awaits you. 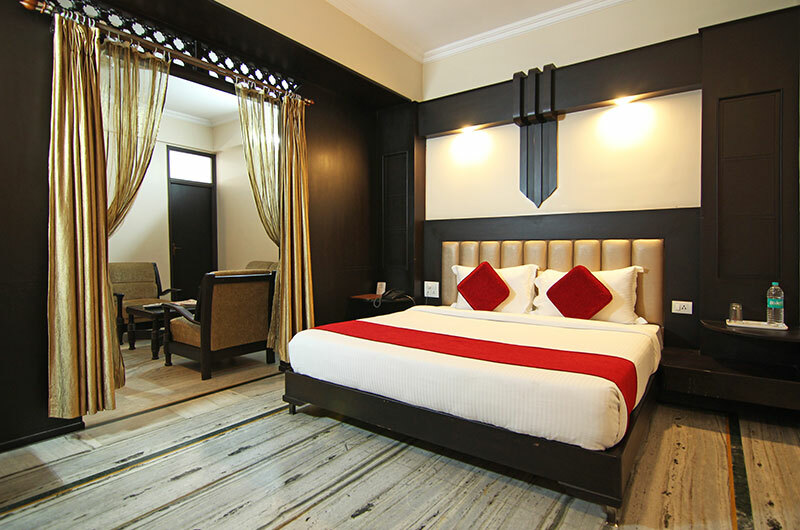 The warm color palette of the interiors, classic wooden furniture, the luxurious relaxation chair and plush king size beds create a beautiful harmony and blissful ambience. The multi-cuisine restaurant at Le Grand serves pure vegetarian - Indian, Indo-Chinese and Continental cuisine, open for breakfast, lunch & dinner. Impressive menu, quality food and impeccable service have made this a very popular food joint with the people of Haridwar. 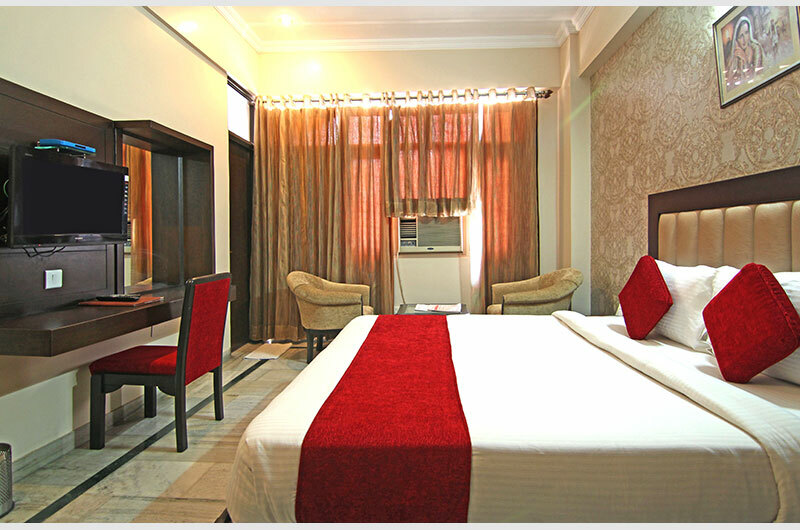 The deluxe rooms are spacious and yet have a cozy and charming vintage vibe. 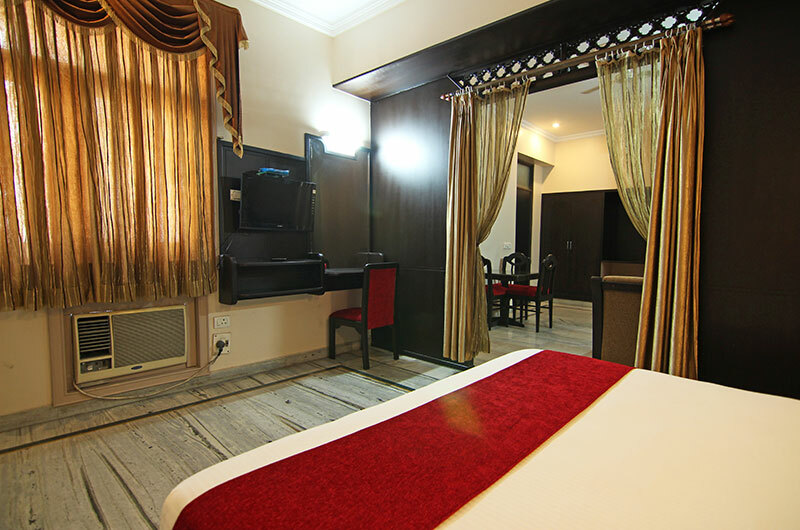 Thoughtfully designed for a comfortable stay, these rooms boast of elegant wooden furniture. Stay comfortably in our Executive rooms, which are contemporary in design and exude style and panache. 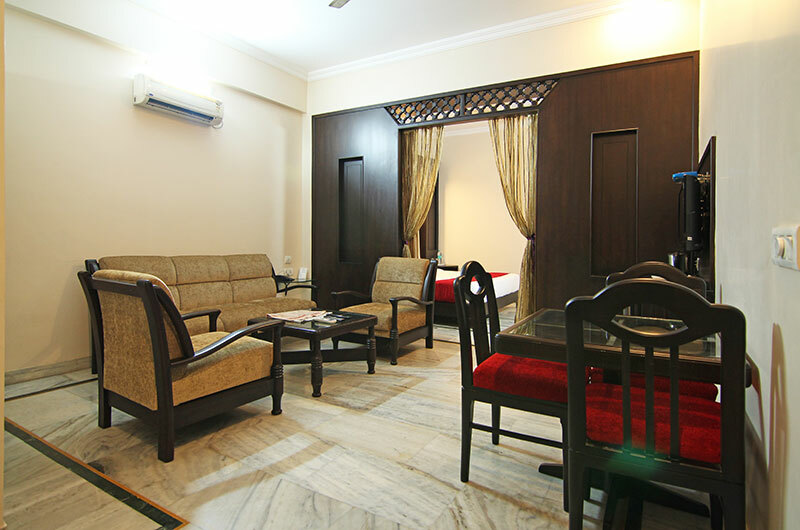 Warm tones, stylish amenities and elegant wooden interiors and the plush relaxing chair create the ideal cozy ambience. 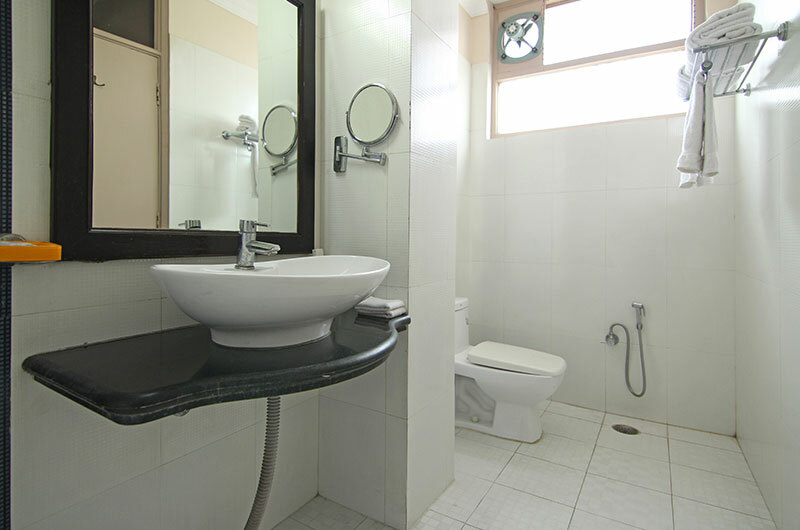 It has a close proximity to important commercial centers and major tourist attractions making it the ideal choice for business and personal stays.